These socks are record breakers, my own personal record for the slowest knitted socks ever!! I started them at the beginning of September for freaks sake, and only finished them a week ago. They just seemed to take forever!! But they’re here and done… and they were sooooo worth it. 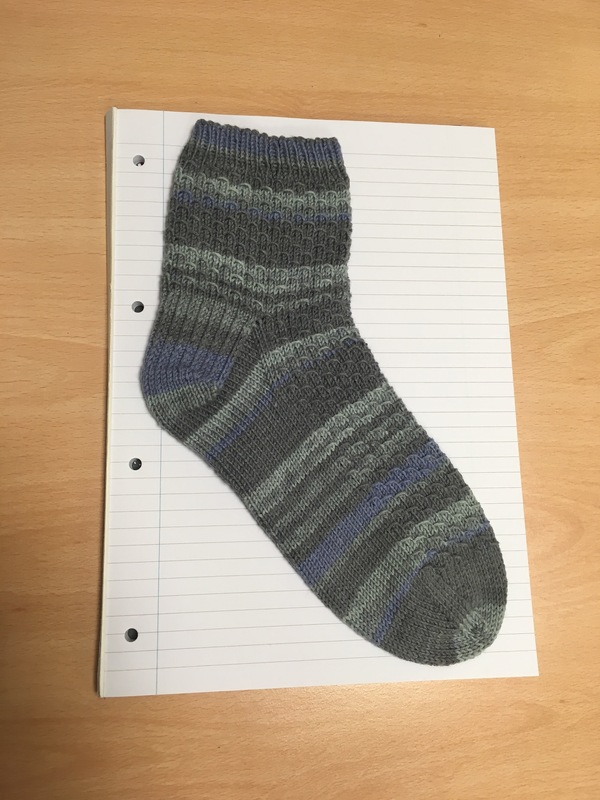 The pattern is the ‘Show Off Stranded Sock’ pattern by Anne Campbell which, of course, can be sourced on Ravelry. 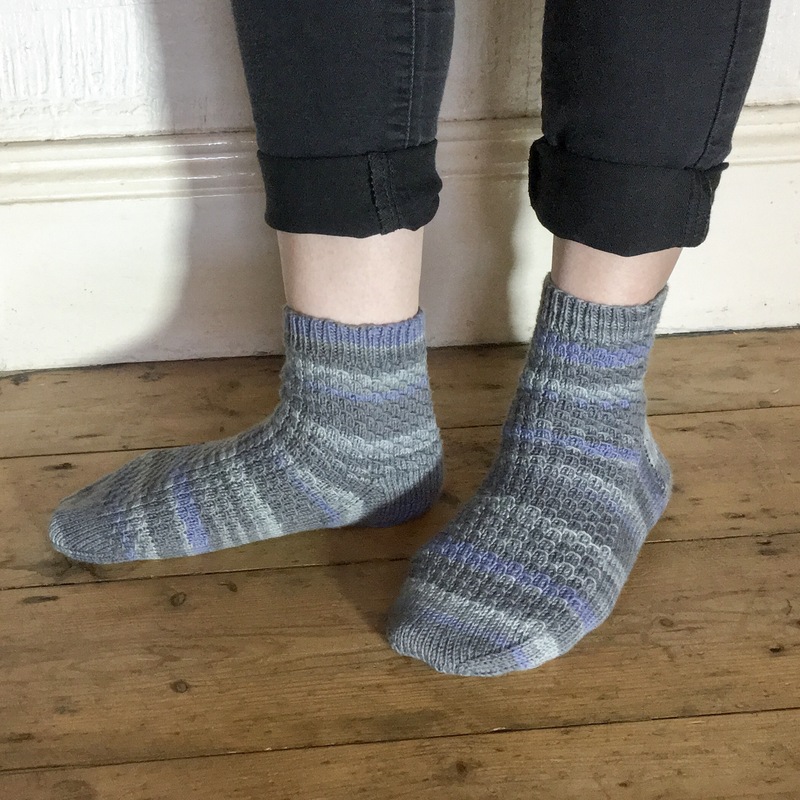 Those beautiful tones of blue and grey come from Berocco Comfort Sock yarn in colourway 1811… very uninspiring name, but it’s pretty. It’s my first time using this yarn and while it’s very soft and silky, I couldn’t help but feel that it’s finer than other 4ply yarns I’ve used. This just means they aren’t quite as thick as other socks I’ve made. But I would use the yarn again. 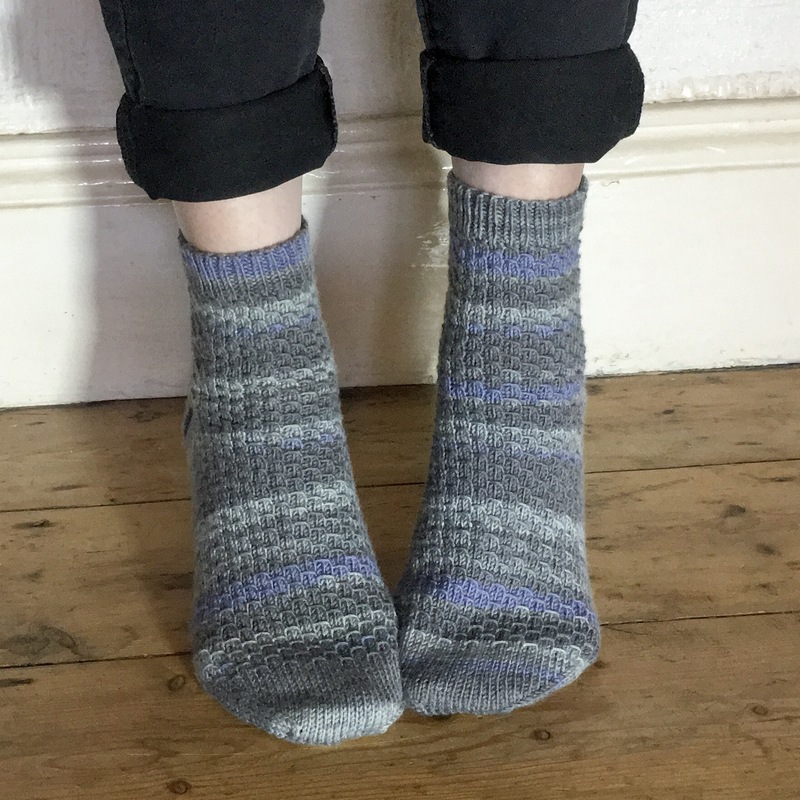 The pattern is designed to accent the self stripe of the chosen yarn, but it would be pretty good with just a plain colour too. I must admit though, its fiddly. Because I knit really tightly I found myself struggling a few times and swearing at them way more than I would have liked to. The pattern reminded me of little dragon scales so I’m tempted to make them again in a green colour. 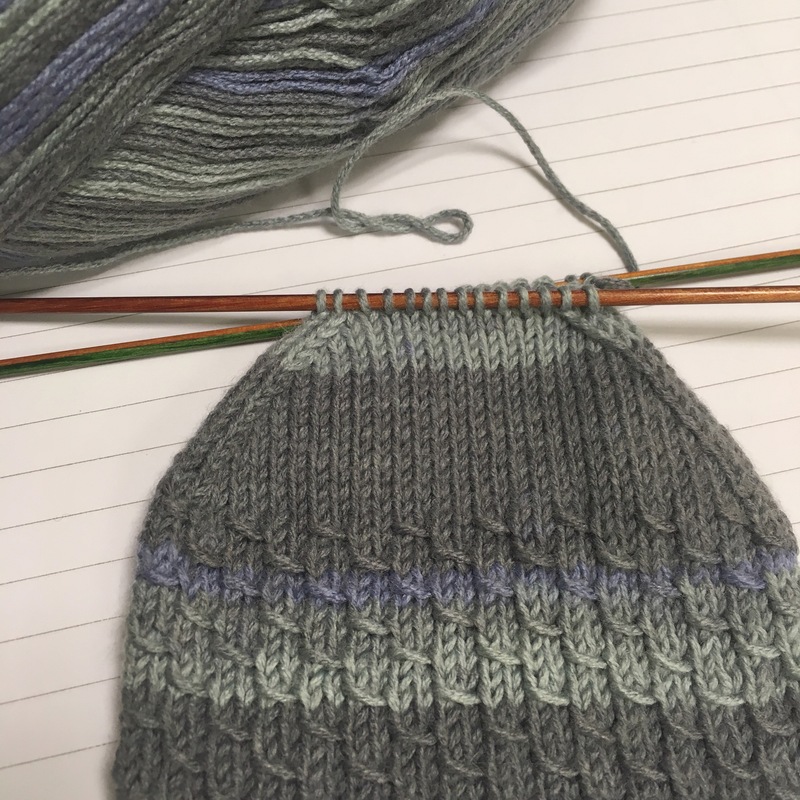 It was lovely seeing the subtle stripes appearing as I went, I love that about self striping yarn. I did a slipped stitch heel to give them some extra squishyness and comfort, plus I just like how it looks. I think the heel was maybe shorter than it could have been, but it’s fine on my feet. 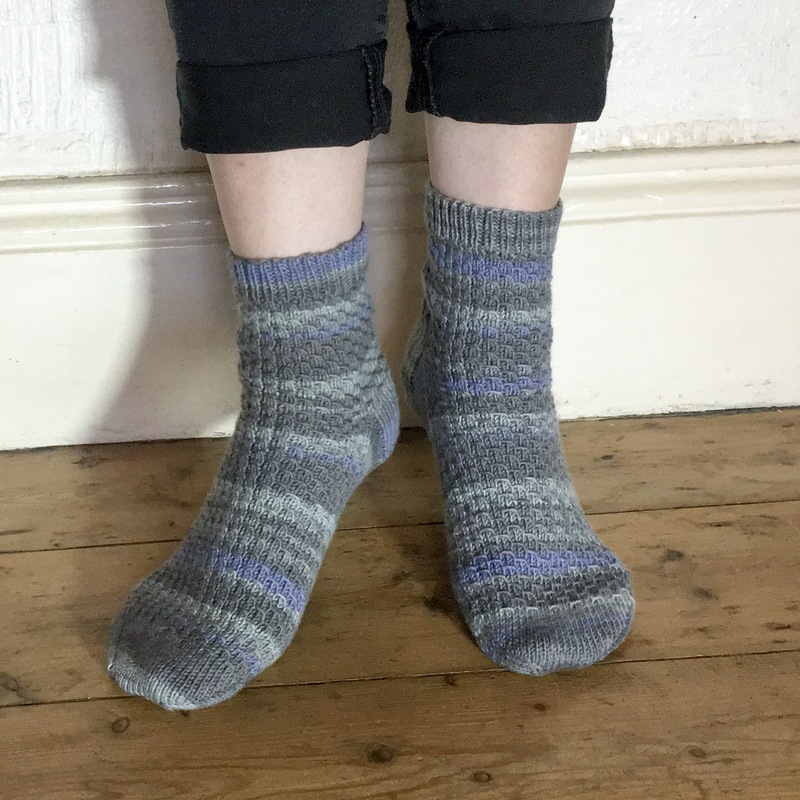 There really doesn’t seem to be much to say about these socks… apart from the remarkable length of time it took to finish them. But yay! Pretty new socks!! So worth showing off! These turned out beautifully.